There really is no denying my love of Gin. A quick flick through my Facebook, Twitter and Blog posts will see the juniper infused tipple cropping up with alarming regularity. My own drinks cabinet of gins has grown from the standard Gordon's, Beefeater and Bombay Saphire to encompass more boutique offerings such as Martin Millers which I discovered at a Gin & Teatime Tasting Event. My current selection includes Hendricks, 3 flavours of Edinburgh Gin (Elderflower, Spiced Orange and Raspberry), Caorunn, Blackwoods, Martin Millers, Gordons Crisp Cucumber and Opihr plus my own homemade Rhubarb, Bramble and Raspberry Gin infusions. 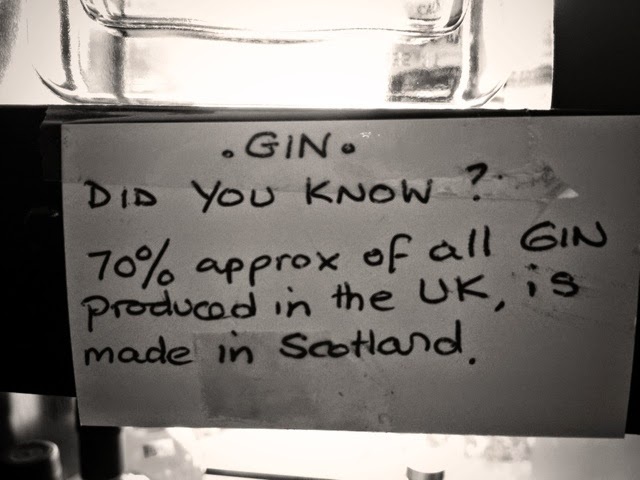 It might surprise you to discover that over 70% of UK Gin is produced in Scotland. Seems like its not just whisky that we're good at. With this in mind I'm delighted to announce a Foodie Quine presents... GIN event. 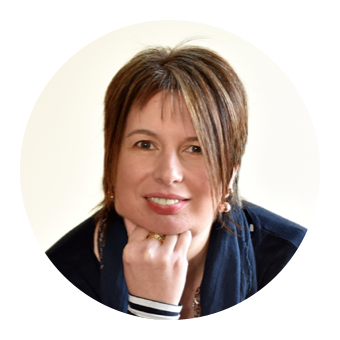 I know there are a number of my followers on the blog and social media who this will appeal to and I hope to meet some of you on the night. To be held at Dunnottar Wines and Sprits in Stonehaven there will be education and lubrication in the form of 5 Scottish Gins. There will also be sustination from Gin infused and inspired canapes. 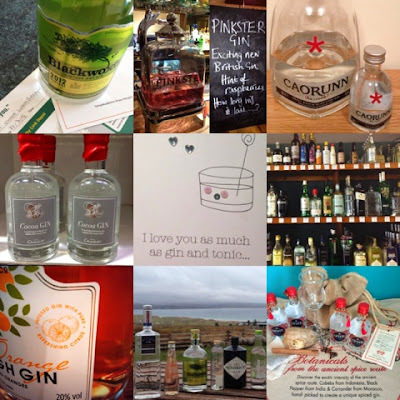 Cool Gourmet in Stonehaven recently held a Gin themed dinner which unfortunately I couldn't attend so I'm delighted that Isla will be providing canapes for this event. Just stumbled upon this through the Britmums linky......who wouldnt be attracted to gin tasting! As a scot living in London, I intend to fascinate (bore) all my london friends with your 70% gin statistic! Gin infused canapes sound awesome. Hope you can post some recipes.